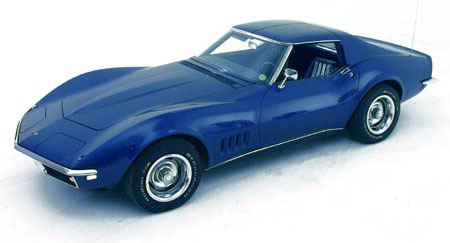 Although the chassie remained almost unchanged in 1968 the body and interior was completely new, based on the Mako Shark show car. The 1968 was the first model with removable roof panels and removable rear window. Wheel width increased 7". The battery was moved to a compartment behind the seats.